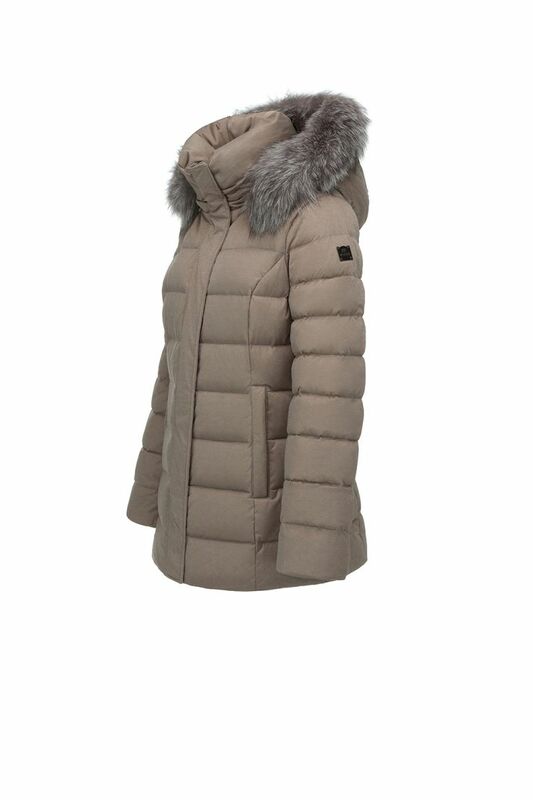 Hetregó Greta beige down jacket combines timeless elegance with sophisticated fabric. 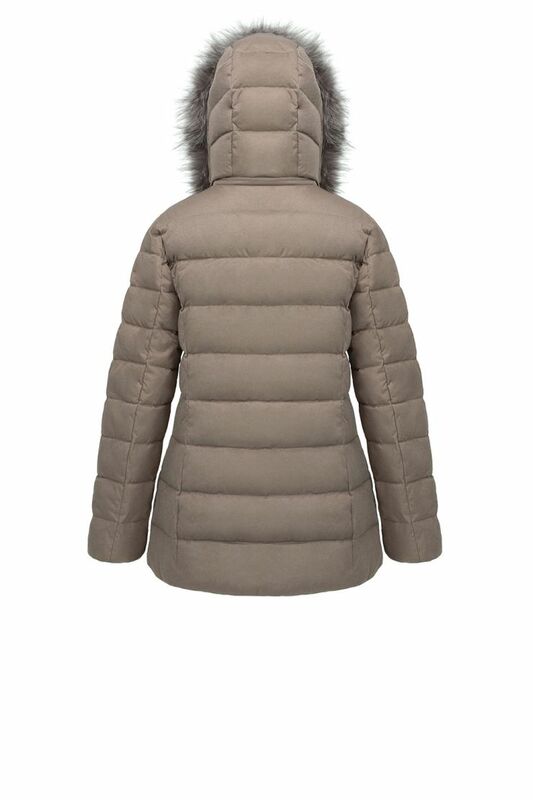 This hip-length coat shapes your body and accentuates your silhouette: do not sacrifice your femininity even in the freezing cold. 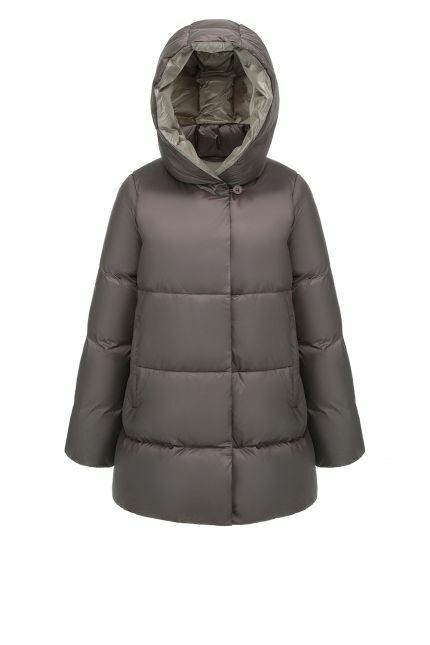 This style features a placket with snap closures over 2-way zipper, side pockets and a detachable hood that can be removed when needed. 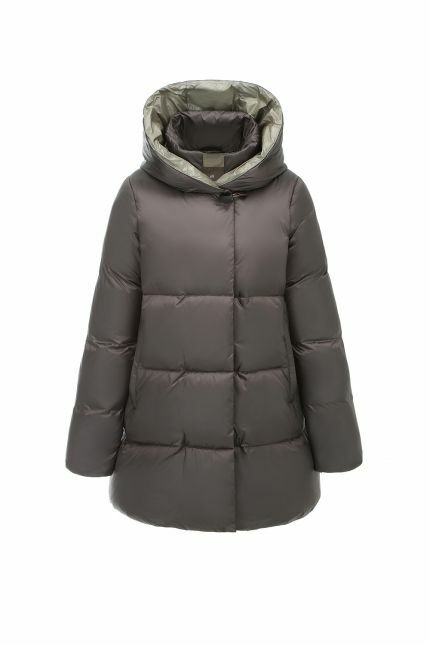 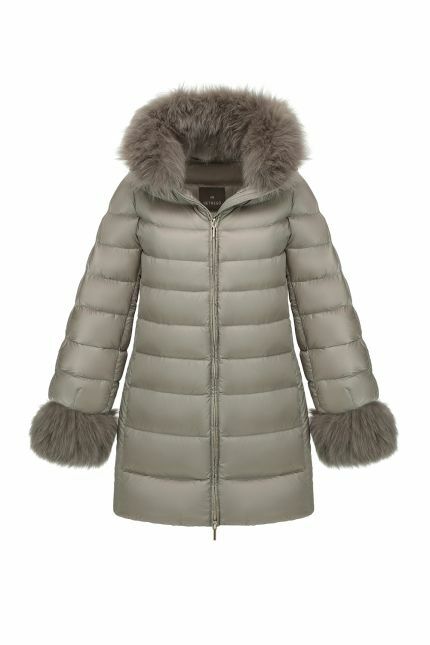 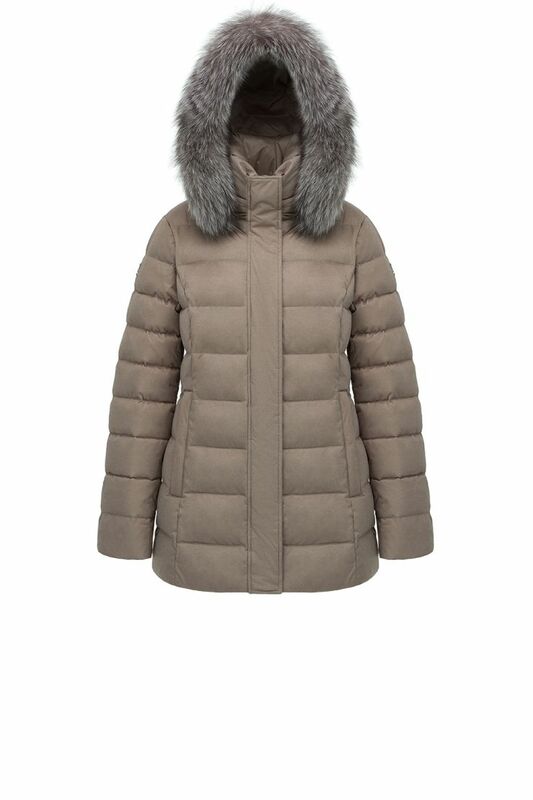 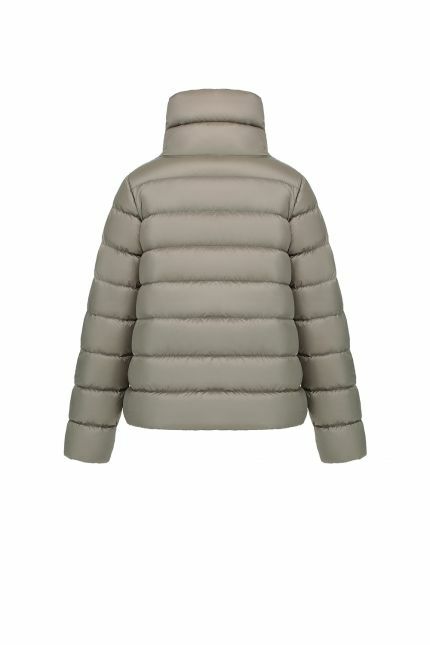 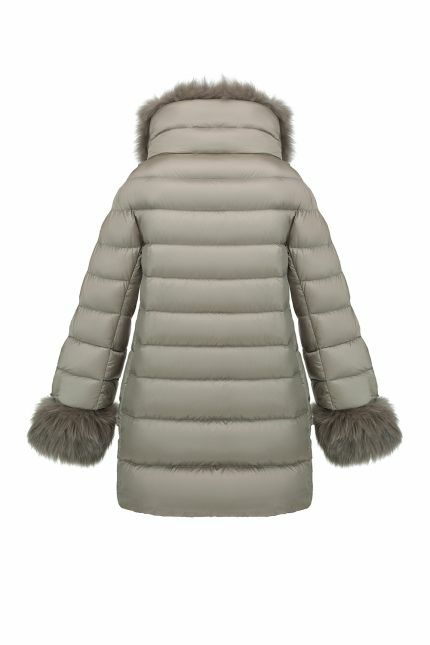 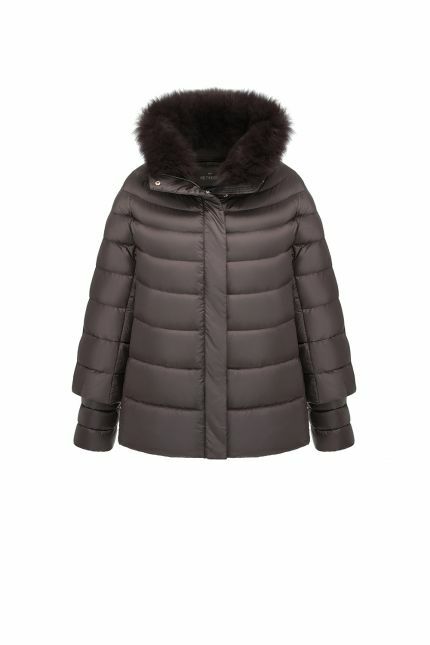 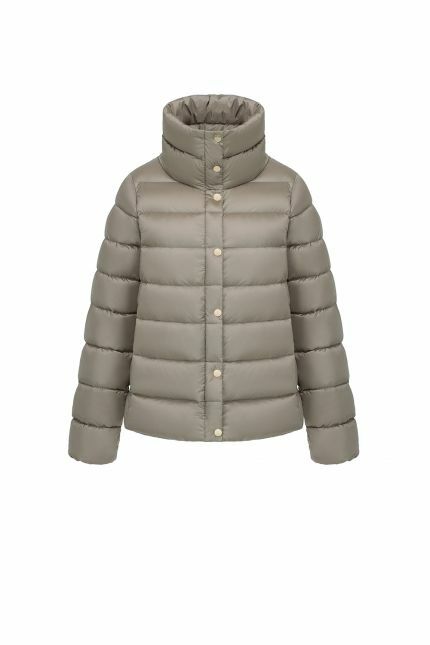 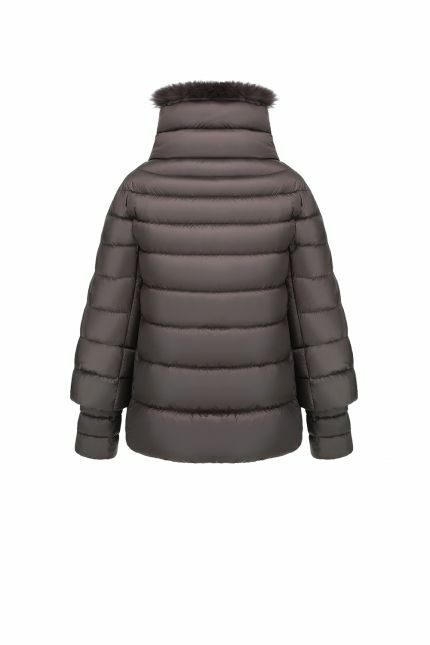 Padded in goose down, Greta is ideal for winter days and it is detailed with fox trim hood.